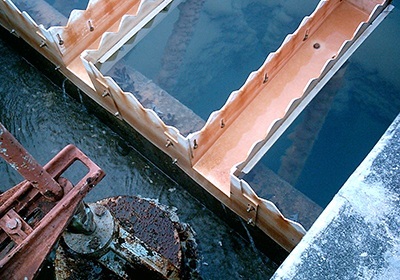 In certain industrial applications, it is virtually impossible to achieve the desired flow rate even when using peripheral mounted weir plates. This is where you will find the FRP weir pans manufactured by the Warminster Fiberglass Company highly convenient and useful. We design finger weirs for a variety of applications at municipal and industrial water and wastewater plants. In fact, our weir pans are used by companies all across the world. At Warminster, we understand the need for quality weir pans and are products are designed and customized according to our clients’ requirements. You can use our finger weirs in clarifiers and settling tanks, or for any other application where you have to achieve a specific flow rate. We guarantee that our weir pans will deliver up to 4.5 times a higher flow rate as compared to simple peripheral mounted weirs, thereby providing convenience and efficiency. In addition to supplying finger weirs for different applications, we also help our clients comply with guidelines. Using our finger weirs, you can bring your overloaded plant to compliance without the need to invest heavily in construction. 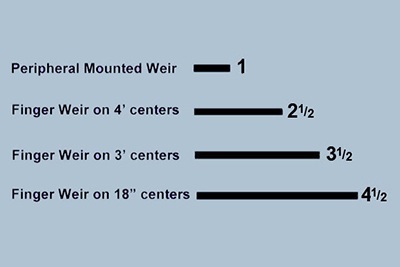 All our weirs are designed to enhance rigidity while reducing deflection. This ensures there is no wastage and you can continue operating in an efficient manner. We mold each component of our finger weirs with matched metal die. This enables us to deliver a product that is consistent and uniform, regardless of the volume of finger weirs you require. The material also helps us to achieve optimal dimensional accuracy, making our finger weirs flexible and versatile, as they can serve every need. The major benefit of investing in our finger weirs is that you get a product that resists corrosion, abrasion, sunlight damage, and environmental hazards. Not to mention, the color is molded into the weirs, adding to their aesthetic appeal.